In the case of monsooned coffees, the green beans have been exposed to the monsoon winds blowing through open warehouses during the rainy season. This process reduces acidity and enhances sweetness. 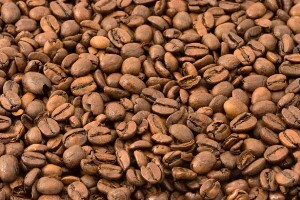 Many consider Monsooned Malabar to be the best of the monsooned coffees. The flavor is similar to aged coffees with its syrupy flatness. Many prefer to blend the Indian Monsoon with rougher, more acidic coffees to mellow them out.For those seeking low acid coffees Indian Monsoon, Malaysia Kopi Sarawak, Laos Bolaven Plateau, & Balinese Kopi are all aged coffees low in acid.